What is Flexible Mobile Technology? The growing trend in the United States toward wireless, more efficient technology has made its way into the medical field. As well it should since the internet, and all that goes with it is an inescapable and inexorable part of society today. New advances in mobile technology have allowed for even greater leaps in medical care and the expectations that go along with it. Flexible mobile technology refers to those devices which have broken through the formerly rigid design flaws that made devices either bulky or otherwise awkward to use effectively. In the medical field, having to deal with such a cumbersome device could be the difference between saving a life or not. First and foremost, this growing form of technology allows for better communication between medical professionals—an essential aspect of properly performing their fast-paced job. Rather than a doctor or nurse having to run to a nurse’s station to use a bulky desktop computer to communicate or gather information about their patients, mobile technology allows for instant access to communication and information databases. Whether it’s a portable medical cart equipped with a long-lasting battery supply or a handheld smartphone that can be kept in a medical provider’s pocket and therefore close at hand, immediate access to technology has changed the face of medical care for the better. With the increase in overall modes of information transfer and design, the rise in applications (or apps) that can be used by healthcare providers is also on the rise. For example, peak flow monitoring for asthmatic patients has been assessed by clinical studies as a highly effective means of better understanding and treating this pulmonary disease. 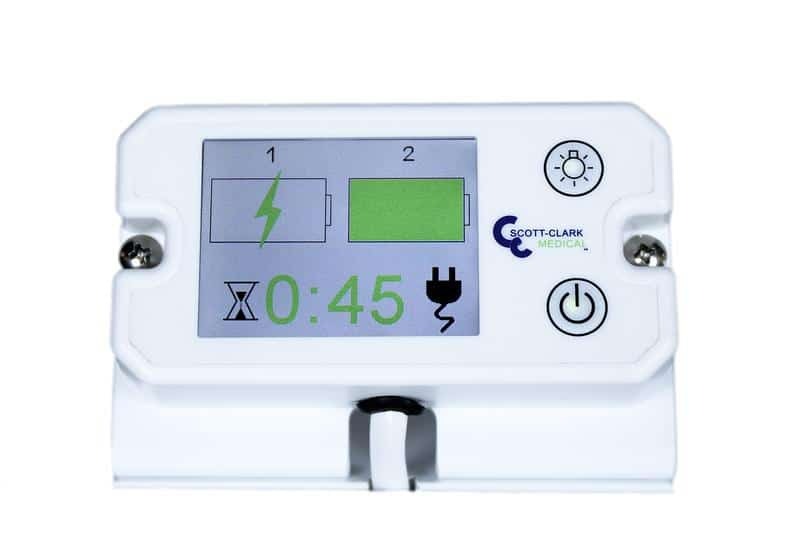 A handheld, electronic peak flow monitor can be easily stowed in a purse or backpack and used at regular intervals to record an individual’s forced vital capacity (or the amount of air an individual can expel from their lungs in one quick exhalation) in a real-world setting. In clinical research trials, mobile electronic peak flow meters are often used in conjunction with Phase III trials to keep a running record of patients’ breathing throughout an investigational drug study. Without this technology, such data gathering would not be possible outside of the medical premises. Without this form of technology in the healthcare field overall, advances in medical care would not be able to move beyond the stationary desk. Flexible mobile technology has given medical professionals the ability to dictate patient visits or other important bits of information immediately thanks to voice recognition software. In cases of lesser-known diseases or conditions that require more research and possible collaboration with medical professionals outside of the hospital grounds, the ability to take pictures and record data and upload that information to cloud-based storage is revolutionary in scope. Cloud-based storage can also improve efficiency within a medical facility by allowing professionals to save data at any time and access it from multiple platforms as the need arises. In a pinch, flexible mobile technology allows for medical professionals to quickly gather information on a patient without, once again, having to resort to running back to the nurse’s station. Different applications allow for medical record access (adhering to HIPAA regulations) for medical professionals, while others allow for the administration side of the medical facility to oversee scheduling and patient billing quickly and efficiently. Not only does this form of technology make the lives and jobs of those in the medical industry easier, but it also allows them to offer better customer service and patient care across the board. If a receptionist or medical assistant can schedule a patient’s next visit in the exam room, for instance, they can help save time on both sides of the clinic-patient spectrum. Every medical office has its own methods for providing care, but nearly all share a reliance on medical carts of some form. 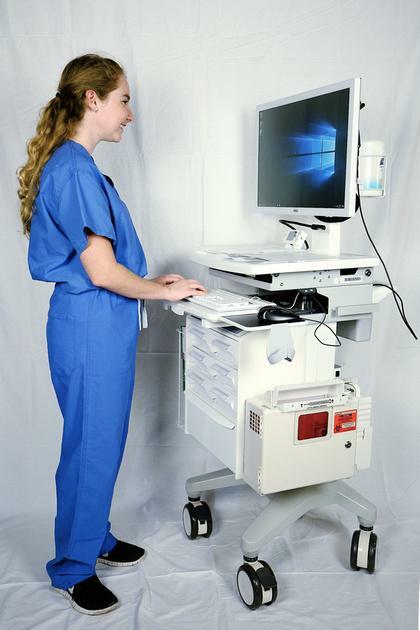 For flexible mobile technology, the most useful form of medical cart is the one that allows medical professionals to bring their computer system with them into the room and around the facility. A mobile medical cart is an essential tool in the medical industry and finding the right cart for one’s needs is not always easy. Most mobile medical carts have yet to overcome the almost debilitating crutch of consistently running out of power. 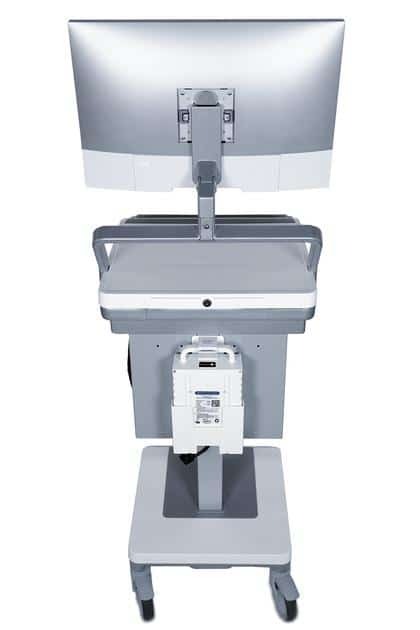 An efficient medical cart offers a battery charge that can last throughout an entire shift (which can run upwards of 10-12 hours) and is easy to replace, so IT does not need to get involved. Flexible mobile technology is a growing innovation in the medical industry and will continue to work towards improving the degree of medical care that professionals can provide and patients receive. Finding the right equipment and applications is the first step in this noble endeavor.